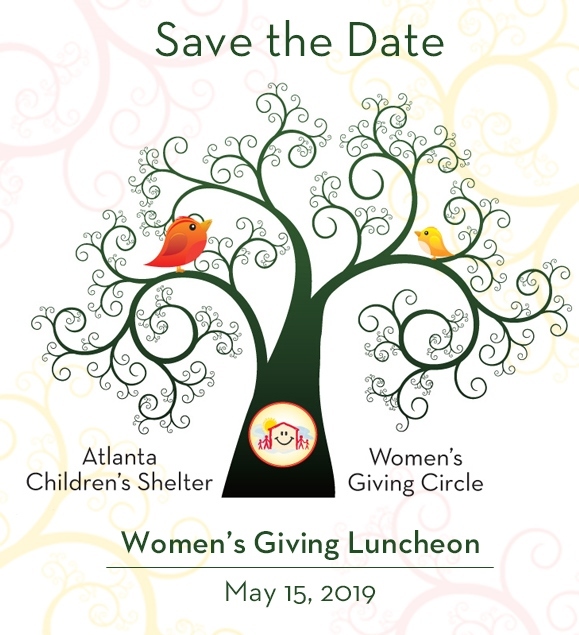 The Atlanta Children’s Shelter will host its annual Women’s Giving Luncheon (WGL) on Wednesday, May 15, 2019. The luncheon connects, empowers and inspires executive leaders in Atlanta’s business community to make an impact through philanthropy. The WGL is by invitation only and there is no cost to attend. Guests will enjoy lunch while they hear a keynote address, WABE Radio’s Rose Scott, a Shelter update, and a testimonial from three parents who have achieved self-sufficiency with the assistance of the Atlanta Children’s Shelter programs. To inquire about sponsorship opportunities for the Women’s Giving Luncheon, please contact the Executive Director, Sandy Holiday, at 404-892-3713 ext. 5428 or sholiday@acsatl.org.